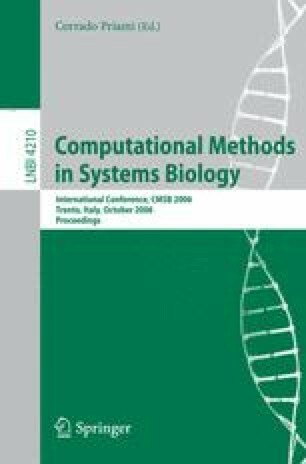 In order to understand complex genetic regulatory networks researchers require automated formal modelling techniques that provide appropriate analysis tools. In this paper we propose a new qualitative model for genetic regulatory networks based on Petri nets and detail a process for automatically constructing these models using logic minimization. We take as our starting point the Boolean network approach in which regulatory entities are viewed abstractly as binary switches. The idea is to extract terms representing a Boolean network using logic minimization and to then directly translate these terms into appropriate Petri net control structures. The resulting compact Petri net model addresses a number of shortcomings associated with Boolean networks and is particularly suited to analysis using the wide range of Petri net tools. We demonstrate our approach by presenting a detailed case study in which the genetic regulatory network underlying the nutritional stress response in Escherichia coli is modelled and analysed.